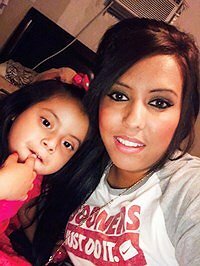 Betty Sanchez is 24-years-old and her daughter Eva is 3. They live in Duncan, Oklahoma, with Eva’s older sister Ruth who is 5-years-old. All three suffer from varying degrees of kidney disease. Betty and Eva are in stage-5 renal failure and are in need of kidney transplants to survive. Betty and Eva travel 170 miles every Monday, Wednesday, and Friday to Oklahoma City where they have dialysis treatments performed at the OU Children’s Hospital Dialysis Unit and at DaVita Dialysis. Betty must leave Eva alone at the Children’s Hospital while she travels to DaVita to have her own treatments. Betty does not drive and so they both must be transported via van by Sooner Ride to Oklahoma City and back to Duncan. Betty is a widow and is raising her two daughters on her own. Her husband and father of her two daughters, Carlos, passed away in November 28, 2014 of cancer. After her husband’s passing, life has been very hard for Betty. It is a struggle daily to care for her two daughters, their medical needs and her own, as well as, the daily demand of house hold duties. Betty graduated from Duncan High School in May 22, 2010 and attended Red River Technology Center for 2 years where she studied cosmetology. Eva is enrolled in a developmentally delayed classroom at Will Rogers Elementary however she can only attend on Tuesdays and Thursdays (non-dialysis days). Due to the severity of her kidney disease, she must be fed through a G-tube, cannot walk on her own, and has to wear diapers. 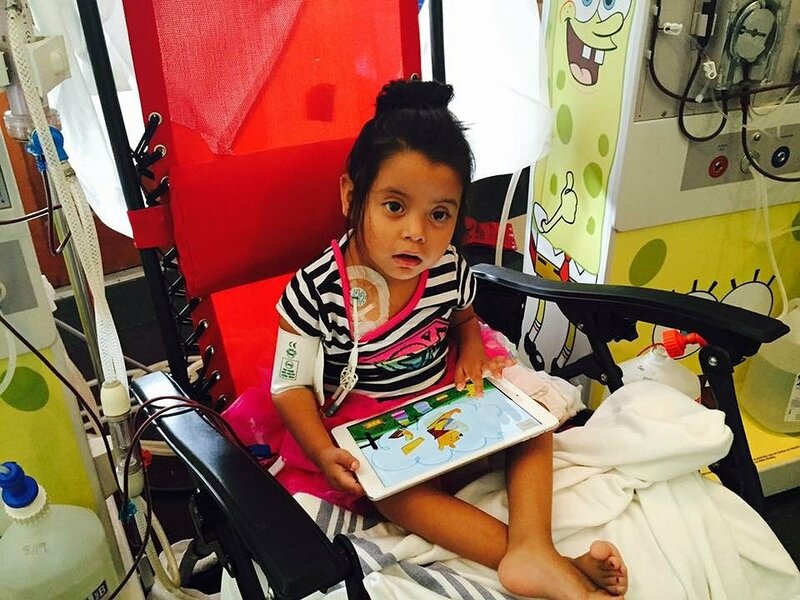 The children’s nephrologist believes that Ruth will one day need dialysis and a possible kidney transplant as well. The transplants for Betty and Eva will most certainly save their lives but are overwhelmingly expensive. Even with insurance, Betty struggles with the out-of-pocket expenses such as travel to and from dialysis, medical supplies, medications, special dietary supplements, and co-pays. 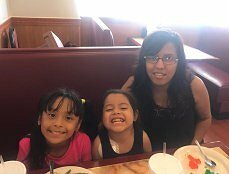 To help with the financial burden of Betty and Eva’s uninsured expenses, a fundraising campaign in their honor has been established with Help Hope Live, a trusted nonprofit organization that has been providing community based fundraising guidance to patients and their families for over 30 years. 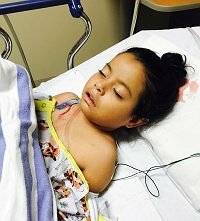 All donations are tax deductible to the full extent allowed by law, are held by Help Hope Live in the South-Central Kidney Transplant Fund, and are administered by Help Hope Live for transplant-related expenses only. Please consider a contribution. Betty and Eva give their sincerest thank you for your prayers, support, and generosity. Please keep an eye on their campaign pay at www.helphopelive.org as we will be planning fundraising events and posting updates regularly. How many therapy pilings can you knock over? Watch the video to see how many Eva can do! Sharing your information around the world. Life can be difficult, but I'm praying for you to be strong and patient for you and your children. Prayers for you and your family. Stay strong and remember God is the ultimate healer.